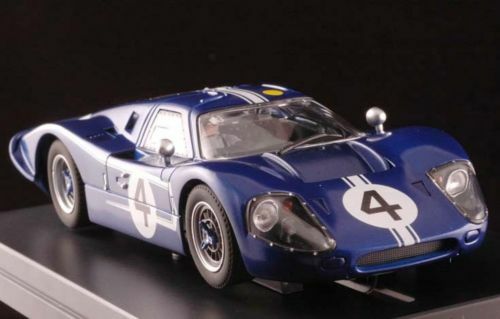 Model Road Racing Cars Ltd. (MRRC) was founded in 1951 and was based in Bournemouth, England. 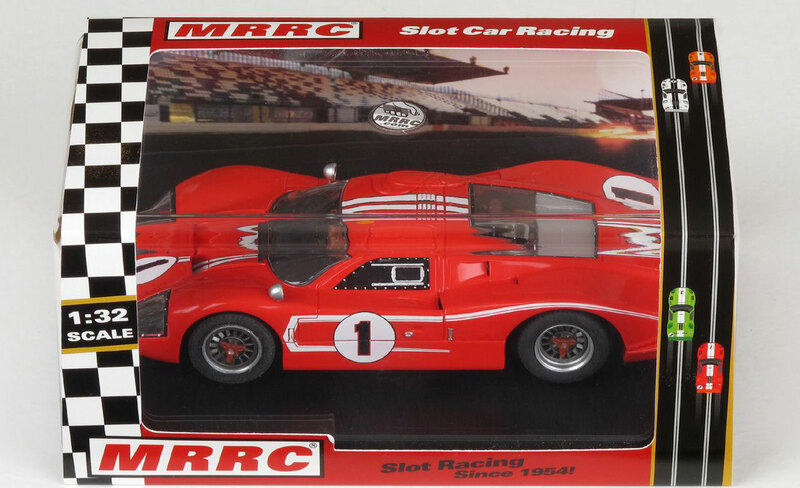 As a pioneer and leading company in rail racing, MRRC became the first supplier of electric model car racing equipment and produced components to convert rail cars into slotcars in 1954. 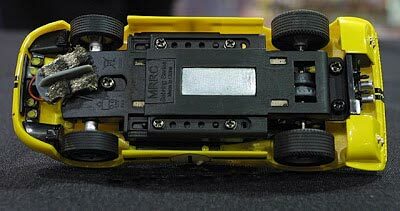 Early MRRC cars utilised tin plate bodies mounted over an electrified chassis. 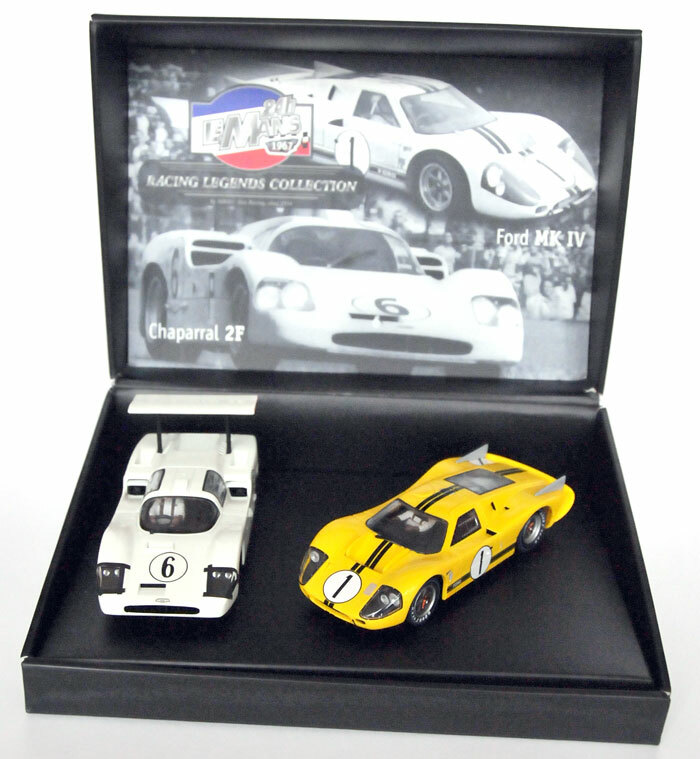 The bodies used, came from clockwork models purchased from Mini Models Ltd. the predecessor to the ‘Scalextric’ electric slotcar racing system in 1957. MRRC chassis design was simple, but a very effective concept. The electric motor powering the models operated at 12 volts DC and was an open frame type train motor equipped with a bracket to allow the rear axle unit to be fitted directly onto the motor. This in conjunction with a separate chassis front end featuring an Ackerman steering unit completed the chassis. The concept meant that the chassis became a completely independent unit to the body. Also, by changing the front end chassis section with different sizes meant the wheelbase could be adjusted to fit various body types. 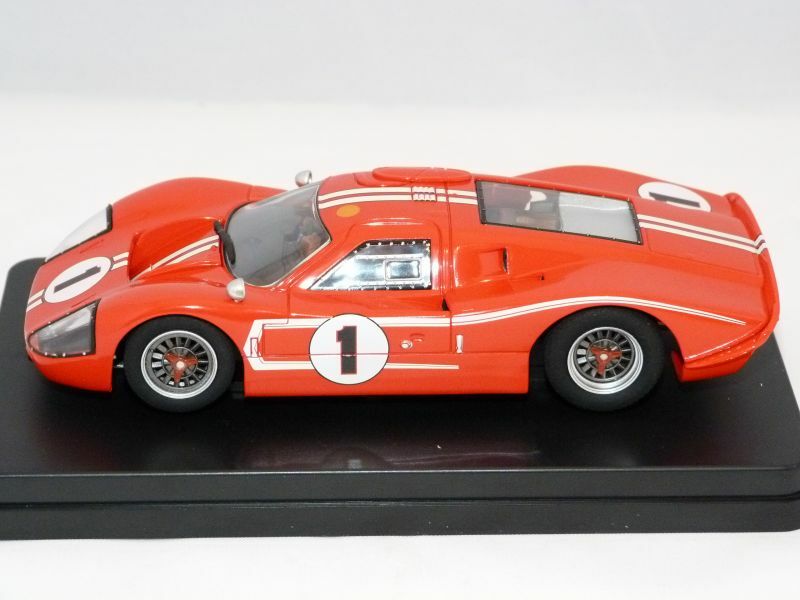 MRRC fast became well known for everything needed in model car racing by offering a complete range of race proven cars and components. In 62 MRRC Ltd. became a member of the ‘Airfix’ Group of Companies in Great Britain, however MRRC continued to trade separately. 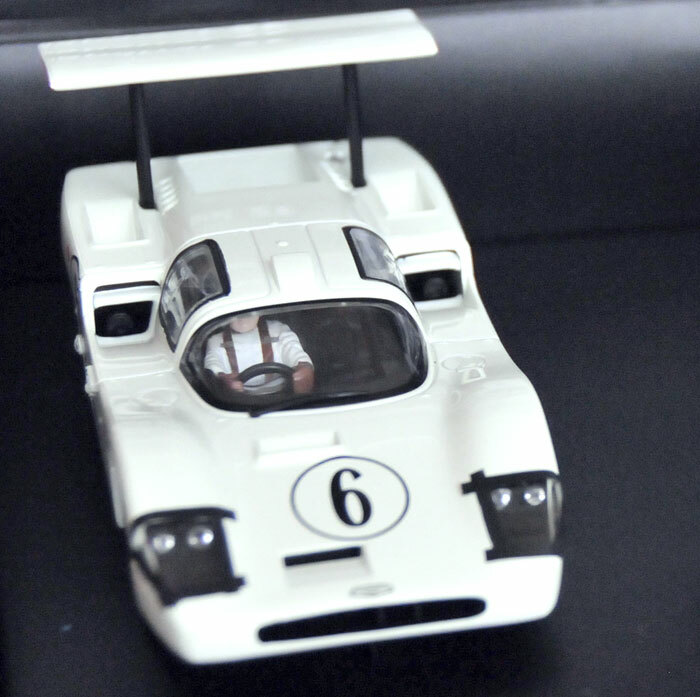 In 63 Airfix introduced a completely new range of 1/32 scale home set slotcars in a ready to race configuration. 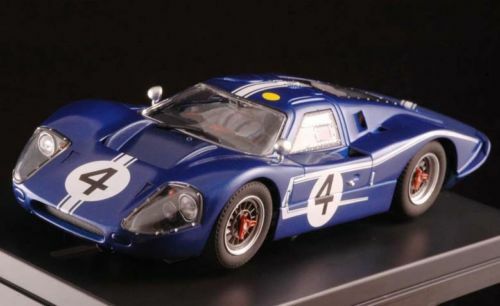 Cars featured injection molded plastic bodies with a pan style in-line chassis being closed from the underside. Like its MRRC counterparts, the electric motor powering the models operated at 12 volts DC and were an open frame type motor. 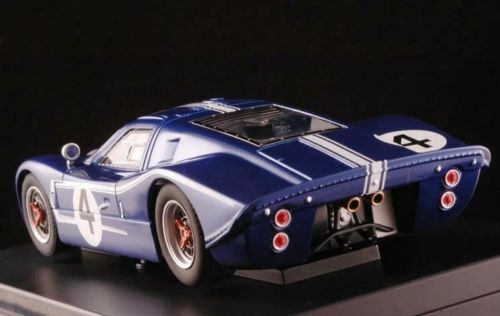 In addition to the Clubman Special models in 1/32, there also was a 1/24 scale series of RTR slotcars. With the incorporation of Dynamic Braking1 the stopping distance was improved along with different resistor values, the controller could be adjusted in use by matching with the requirements of motor and/or track circuit resulting in a much more realistic control of the cars. Towards the end of the 70s the Airfix home range of slotcars transferred to MRRC while Airfix continued to produce static kits. In 1980 Airfix went into receivership and MRRC Ltd. bought the company back in 1981 and continued business as an independent company. In 1988 MRRC Ltd. was sold to a group of Jersey residents. To continue production, MRRC/JERSEY was formed with the company registered in St.Helier, Jersey (Channel Islands), Great Britain. 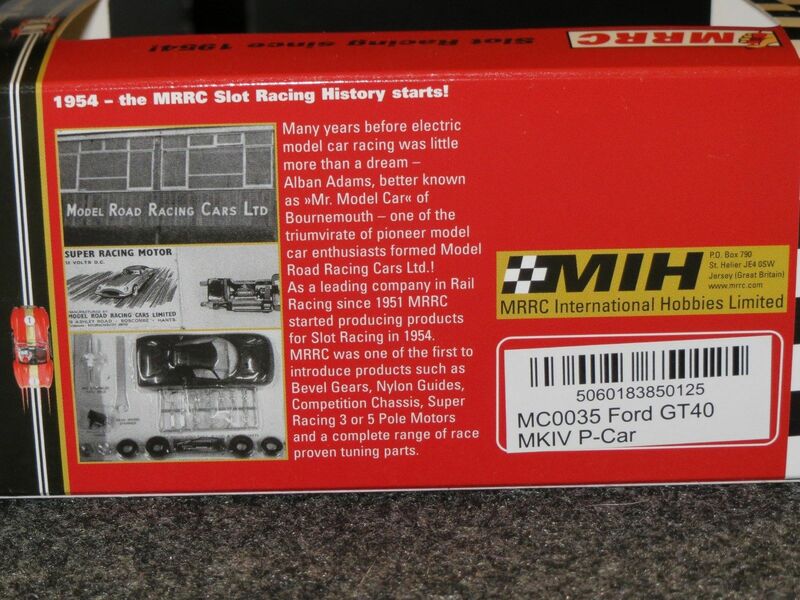 In the 90s MRRC International Hobbies (MIH) was formed between MRRC Ltd. and two of its major distributors, H+T Motor Racing GmbH of Germany and IBB Auto Racing SL of Spain and Co‐operation with ‘Revell/Monogram’ company in the US was established. In the 00s MRRC ceased trading with H+T, IBB and Revell/Mongram and formed a partnership with another company still based in Jersey (Channel Islands). MRRC was then acquired by H+T Motor Racing GmbH of Germany after MIH joint venture ended in early 2010. SRP slot racing products manufacturing became part of MRRC in 2011. Today, all MRRC universal type chassis feature adjustable wheelbase for use in conjunction with MRRC car bodies, but also include additional universal body holders parts for do-it-yourself body mounting to fit all other suitably sized plastic or resin casted 1/32 scale bodies. 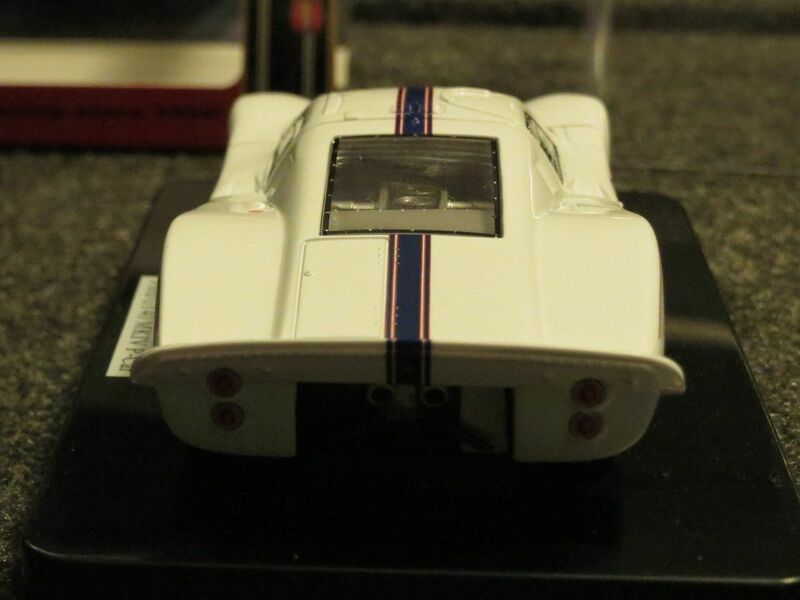 Beside spares and competition components, there is also a range of tune-up parts suitable for the scratch builder and slotcar customiser. Dynamic Braking - What causes the car to continue to roll when the power is shut off is that the motor becomes a generator, and tries to run itself, this is called Electromotive Force (emf) a term used to characterise electrical devices, such an electric motor, if an electric charge passes through that device, and gains energy. Dynamic braking, is a short across the leads to the motor. The rolling cars wheels turn the motor armature, the motor will then, in affect act as generator. For a given direction of travel, current flow through the motor armatures during braking will be opposite to that during motoring. Therefore, the motor exerts torque in a direction that is opposite from the rolling direction of the car. Braking effort is proportional to the product of the magnetic strength of the windings.